Your office has microsoft workstations, your tech guy likes linux, your graphics guy uses a mac. How can you share files easily between the 3 different computer platforms? While most small businesses operate solely on Microsoft Windows based computers or Mac computers, it’s not uncommon for a small business to have a combination of two or three of these. Perhaps your business has 5 to 10 or more Windows based PCs and one or two Macs used by your graphic or media artists. Or perhaps your boss has a Mac at home and wants to use one at work as well. You may even have one techie person in your company who loves Linux or is using a Linux based PC for a particular specialized application or project or perhaps your tech guy absolutely hates Microsoft and and wants to stick with Linux. 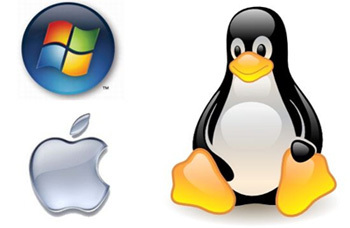 How can your business share its files with these various computing platforms? Here are some common ways to do this. You can configure one or more of these different PCs to share files with the others. You can install a Windows or Mac OS/X based server on your network and then configure it to support all three client operating systems or vice versa. In fact, all these operating systems support client PCs running other operating systems. However, configuring them takes a good amount of technical expertise and troubleshooting time. It’s no secret that Windows servers tend to favor Windows clients and Mac servers tend to favor Mac clients. That’s why businesses looking to share files and printing among Macs, Windows, and Linux based PC’s often take the third option, which is Network Attached Storage (NAS). NAS devices are simple way to add storage to your network and share files with many different types of clients. You simply plug a NAS device directly into the network, do some simple Web based configuration, and you are up and running in minutes. Network File System (NFS), a file sharing protocol commonly familiar to Unix and Linux based PC’s. Common Internet File System (CIFS), also known as Server Message Block, a file sharing protocol commonly used in Windows-based networks. Bonjour, a protocol used by Mac OS/X computers to discover printers and other computers and their services on the network. Apple FileProtocol (AFP), a file services protocol used by the Macintosh OS and OS X. Many NAS products support most or all of these protocols, which makes it very easy to connect all of your Macs, Windows PCs, and Unix/Linux systems to share files and NAS attached printers. Very little configuration is needed. Easily, they all just work. Web hosting is the technical act of housing, managing and hosting websites on special servers referred to as web servers or clouds. Managing a web server requires special skills, expensive equipment and a 24-7 connection to a commercial high speed internet connection. There are thousands of web hosting companies all over the world and some of the better companies use high end servers, high quality networking equipment, backup their servers & your data and employ professional and experienced computer engineers – network administrators that know what they are doing and most importantly are reliable and responsive to your needs or problems. There are also the CheapO web hosting providers that use cheap computers instead of real servers to host websites, don’t backup their servers or your data, and use cheap unreliable networking equipment and unreliable internet connections. Now don’t expect them to tell you that because most of them want you to think they are the best and of course they want your business. You can get super cheap web hosting all day long but expect nothing less than headaches and incompetent support usually outsourced to India or other countries. If you own or want a website then the answer is yes you need web hosting. This depends on several factors such the size of your website? How much traffic does your website get? Is your website database driven? These are a few of the important questions you need to know when choosing the right web hosting for your specific needs. An Orlando Webmaster can help you decide what specific web hosting is right for you and prevent you from wasting your time and money making mistakes. In the web hosting industry or Information Technology industry disk space – aka hard drive storage capacity is the physical space that a website occupies on a server or web server web – CLOUD. Bandwidth is the measurement of data transfer speed through a computer network. If you remember the dial up internet connection days you would refer to that slow connection as slow bandwidth. If you use a high speed internet connection you would refer to that as high speed bandwidth. Bandwidth is most common measured in Gigabytes. An example is one normal sized email which may be one or a few bytes in size. A typical image or photo may be a few kilobytes or larger and videos and other multimedia files can exceed megabytes in size. The data that is transferred to and from your website or computer is also referred to as bandwidth. What exactly is CLOUD computing? or CLOUD hosting? Maybe you overheard someone mention CLOUD computing or CLOUD hosting and now you are curious? Maybe somebody you know uses a CLOUD and now you want to know more about CLOUD Computing or CLOUD hosting? Whatever the reason may be you want to know more about this hot topic and we are going to discuss the facts and the myths about CLOUD computing – CLOUD hosting. So what exactly is CLOUD computing? and how does it work? Are there any benefits to CLOUD computing? or is it just a bunch of hype? These are all good questions so lets get started. The name ‘CLOUD” is just a nickname or slang for the internet. CLOUD computing is another word for Virtual Server or Virtual Hosting or Virtual Private Server or Server Consolidation. As you can see this one technology has many different nick names. Ok so what is a virtual server or virtual web hosting anyways? First lets make sure you know what a server or web server / web hosting is. A server is a special computer used to control a network, access control, store data – files, host email, host websites and many other services or roles. A web server or web hosting is a special computer usually stored in a data center which stores your website and must remain connected to the internet 24-7 in order for your website to be visible 24-7. Most small businesses rent or lease web hosting and pay a monthly fee to host their website. Years ago before CLOUD computing aka server virtualization came along one physical server would host 1 single website. So if you had 3 websites you would need to have 3 physical servers. Renting 3 web servers is not cheap especially for the small business owner. Now if you have or had lets pretend and say 3 servers in your office for your business network. And assuming each of your servers is doing something different such as server #1 is your office file server or primary domain controller and server #2 hosts your companies database and server #3 hosts something else for you. So now you have a vague understanding of what a server does. Remember this is a simple explanation of CLOUD computing and is not a technical how to guide. Detailed information on how to design, configure, manage, etc virtual servers is a long and complex topic in itself. Server virtualization allows you to combine several servers into one physical server. So instead of having the 3 physical servers in your office you can have everything combined on 1 physical server using server virtualization technology. Imagine 1 physical server that has several operating systems running at the same time just as if they were different physical servers. You can reboot one virtual server without rebooting all the virtual servers running on the same physical server. This can also describes as server consolidation. What are the benefits of CLOUD computing, CLOUD hosting, Virtual servers, server consolidation? You get the idea there are many names for this. Some of the many benefits are. One physical server costs less then several physical servers. It costs less to share a physical server with others……vs paying to rent an entire web server just for yourself. One physical server uses less physical space then several physical servers. One server uses less electricity then several servers. One server does not generate as much heat as several servers. What are the cons? are there any? One that comes to mind is hardware failure. If the server physically shuts off whether it be a blown power supply of physical hard drive failure you can count on all the virtual servers shutting down because remember the virtual servers are running on the one physical server. Before you choose whether or not CLOUD computing is right for you, your website or your office – environment consult with a professional network administrator – computer and network expert that has extensive real world experience with virtual servers AKA CLOUDS. A CLOUD or virtual server may or may not be beneficial to you. There are many technical and financial factors that go into deciding whether or not a virtual server will be beneficial to your business or organization. 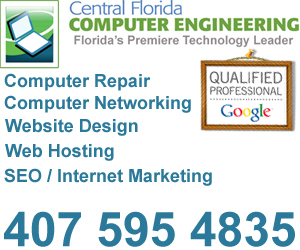 We know of one local company located in Orlando Florida that has been specializing in CLOUD computing – virtual hosting since 2004. Infinitum Technologies, Inc which offers turn key virtual web servers and custom designed CLOUD hosting systems, dedicated servers, server clusters and all kinds of custom server systems and configurations to suite a wide variety of needs from hosting websites, email, databases , remote backup solutions and much more. Infintium Technologies is really a pioneer in virtual hosting technology and custom virtualized server systems. There are a gazillion hosting companies out there that re-sell or market CLOUD hosting as the new hot technology to have when in fact this technology isn’t new and the only thing new about this technology is the name CLOUD computing. We have provided professional support to Infintium Technologies when they expanded and setup another network in Orlando Florida. We were there day and night with owners Sean Faircloth and Richard Blundell and know first hand these guys specialize in CLOUD computing, know what they are doing and are serious about CLOUD computing. Now you know what CLOUD computing is. Ohh No! My business has grown, my computers and server are running out of storage space and our computer network is a mess! Like most small businesses, your technology investments likely started small. You invested in a PC for yourself and a few other desktop computers for staff members. Perhaps you even have a small server. Most likely users keep his or her files on his PC; when someone needs a file they grab it with a USB flash drive or send it via email. Perhaps you have a shared folder setup so users share a folder with each other on your network. Suddenly your business grew and what happened? Some of your computers are running out of storage or are not performing very good. Files are scattered across computers and you run into not being able to keep data organized. You have different versions of files in different places. Which is the most current, relevant version? In many cases nobody knows. With any small business there comes a time when slow, neglected, misconfigured desktop or laptop computers simply doesn’t cut the mustard anymore. That’s when it’s time to consolidate, centralize, and share file storage across the network. This is when you need a professional network administrator – business computer expert or consultant to step in and help you. Why consolidate? Why seek a professional network administrator? There are lots of reasons. It’s more efficient PC based file storage of business critical data is naturally inflexible , inefficient and dangerous. Some of your PC’s may have huge amounts of storage to spare, but no way share it correctly, while others constantly run out of storage and require repeated internal storage upgrades or the addition of connected external hard drives which are also not redundant of a safe to store critical data. When you centralize and share storage, you get a single storage pool that you can slice, dice, and allocate to users and applications efficiently and easily without having to add internal or external hard drives to PCs with limited unused storage. Upgrades are less frequent and the storage you have is used much more efficiently and if configured correctly will be redundant and much safer then storing your companies data on a PC or external hard drive which will break down and crash sooner or later. It’s more organized When all your files are stored in one place, they’re easier to find. It’s easier to keep track of which file is the most current. And since you don’t have to have multiple versions of the same files spread across the office network, you save on data storage space and prevent unnecessary headaches. It’s easier to protect You know your employees should be backing up their files but, really, who does? It’s just a matter of time before files are lost with no way to get them back. Put all your storage in one redundant place and it’s easier to implement a single robust backup strategy that’s efficient and effective. Ok, so now you know you should consolidate and share storage, but how do you do that? Direct attached storage refers to the storage “external hard-drive” attached directly to a PC or server. You can share files stored on one of your PC’s hard disks or buy a server running Microsoft Windows Server or Microsoft Windows Small Business Server and share its internal storage. As discussed earlier, you can also add storage to an internal bay of your server or add external storage via a USB cable. This is not the preferred way and is really cutting corners. I don’t know about you but I value my data and take protecting it very seriously. These are viable solutions if you have a high quality backup system in place, but if you haven’t yet made the leap to the world of servers, consider your other options carefully. Why? Complexity – You have to do some research and investigation to find the right server for your needs. Then you must purchase, install, and configure the hardware and operating system for your network of computer users. If you’re new to server technology this can take a long time with the potential for a high level of frustration.This is the perfect time to call upon a professional network administrator – computer and network expert to do this for you. Once your server is installed, its loosely integrated collection of hardware, operating system, and software require ongoing tuning and troubleshooting and maintenance. The server operating system and software are likely to require frequent patching and updates for continued security and performance and most importantly business continuity. Availability – DAS storage can only be accessed through the server or PC to which it is attached. If that server goes down or is turned off for any reason, the storage and data will not be available to the network – computer users. Upgrades – If you run out of storage you’ll probably have to shut down the server to install a new hard disk. This requires downtime and staff resources. Some servers and external storage solutions let you swap hard disks in and out while the server is up and running, but these tend to be at the high end for medium and large business use. Performance – The typical server operating system (OS) is designed to run many different applications, provide many different types of services, and carry out many different tasks simultaneously. A full fledged OS such as Microsoft small business server can have an unnecessary impact on performance if all you really want to do is share files. ” A good network administrator – computer and networking expert” will help you choose the best hardware and software for your specific needs and budget. Avoid the high pressure pushy IT sales guy that tries to sell you expensive hardware and software without fully explaining the pros, cons and different recommended options with you. While high quality comes with a price make sure you understand whats going on before open your wallet. Flexibility – You can run into similar inefficiencies with server attached DAS drives just as you did with your PC attached DAS drives. As your business grows and you add more storage capacity to your network, heavily used servers and DAS units will run out of storage frequently, requiring upgrades, and have higher potential to break down or crash if you will. Despite these concerns, DAS can be an inexpensive viable solution for many networks, particularly those that also want to run server applications like email, CRM, and other database solutions. An alternative to using DAS is to separate storage from your servers and put it on its own specialized, high performance storage network called a storage area network (SAN). With a SAN, storage is no longer enslaved to a single server but sits independently on the SAN where it can be shared, sliced, diced, and allocated to servers, users and applications from a single pool. For years, SANs ran on a complex technology called Fibre Channel that was too expensive for small businesses. Fibre channel SAN systems are popular in data center, server farm and other mission critical server environments commonly found with fortune 500 companies, banks, web hosting companies and other high end computing environments. However a fairly new SAN technology called iSCSI offers very good performance, uses the same equipment as your Ethernet network, and is relatively simple to use. Like DAS, however, SAN storage uses a low level, block based storage architecture that requires a server with an operating system to present files to users. Each server needs its own iSCSI host adapter or initiator software to communicate with the SAN. That’s why if you only intend to share files and printers on your network, a full fledged SAN can be an overkill. SANs are most appropriate where higher network performance is desired. If you intend to host a database or perhaps multiple databases or computer users share and access large files then higher performance is going to benefit you. Small businesses looking for extra storage to share files and print services should take a close look at network attached storage (NAS). Like a server, a NAS device sits directly on the network. And like a server, a NAS device serves files not bare blocks of storage to users and applications. However, unlike a server, a NAS device does not require installing, configuring, tuning, and updating a server operating system. And unlike a SAN, a NAS doesn’t need a separate server to serve up its blocks of data as files. Instead, a NAS comes preconfigured with just the parts of an operating system necessary to serve files to users and applications. Most NAS devices serve files using either the Network File System (NFS), which is an open source file system, or the Common Internet File System (CIFS), which is the system used by Windows to serve files to the user. Many can use both. The growing popularity of Apple desktops and laptops has pushed many network storage devices to also support the Apple File Protocol (AFP). Independence – A NAS can sit anywhere on the network, independent of servers, and serve files to any network connected computer or server. If a server or PC goes down, the NAS is still functional. If power goes down, there’s no need for complex reconfiguration. With its simple architecture and setup, a NAS can be up and running again in minutes providing there is no major damage to the unit or drives. Ease of Use – NAS devices typically come as preconfigured, almost turnkey solutions. There’s no need to install a host adapter or operating system. You simply plug the NAS into the network and, depending on the ease of use of the user interface, you do some very light configuration using a Web browser. There may be a little more configuration to do on PC’s and servers accessing the device, but in most cases you’re up and running in minutes. Compared to traditional servers, NAS units require little maintenance, few updates, and little troubleshooting. Whatever administration is necessary can usually be done via a simple Web browser interface. Easy Upgrades – Adding storage to a server usually requires shutting down the server, replacing a drive or adding a new one and then booting up the server again. To get more storage with NAS, you simply plug another NAS device into the network and are up and running with additional shared file storage in minutes. Or some NAS devices allow swapping of hard drives or adding internal or external storage while they are in operation (commonly known as “hot swap”). Flexibility – Many NAS devices can share their files easily among Windows, APPLE – Mac, UNIX, and Linux based computers. Some are also flexible enough to be used as a NAS, as DAS for a single server, or, as a storage device on a SAN. Many also come with capabilities for sharing printers. Easy Backup – NAS devices can be a great storage medium for PC based backups. Many of these devices come with backup software that is easy to configure and use, both for backing up user computers to the NAS and backing up the NAS to another storage device, tape, or an external backup service. When all your files are in one place, backup is inherently easier than when they are spread around the office. Some NAS’s also come with easy tools for migrating data to the device and replicating data over the network from storage device to storage device. In summary, depending on the needs of your small business and your technical expertise, you may be best off with DAS, a SAN, or NAS solution. If simple file and print sharing is your goal and your staff has little networking technical expertise, a NAS is often the best solution. Regardless of which solution you have or are questioning don’t skip out on having a professional network administrator – computer – networking expert help you choose the best solution for YOU! You are special, your business is special, your data is literally priceless and preserving and protecting it should be taken seriously. Big savings in payments of licenses for Microsoft Windows servers. A similar or better performance can be achieved, even using less hardware resources than required by a Windows server (in terms of processor and RAM). A Linux server with SAMBA properly configured can substitute a Windows NT/2000 server, it commonly shares directories, gives an active directory service (ADS) but it can also work as PDC (Primary Domain Controller), doing the users authentication with Windows 2000/NT/98/95 clients, sharing resources (directories and printers) and customizing the user sessions. This article concentrates particularly on these aspects. As a result, for many environments where this is the main function of a Windows server, the Linux server with SAMBA substitutes all functions of a server based on Microsoft operating system, with no changes in the clients computers. For the steps that will be presented, it is assumed that: SAMBA is already installed and working correctly on the machine that will be used as server. The reader knows basic concepts about Linux and Windows servers. Consider a Linux/Samba server working as a PDC, where every authenticated user also has access to two shared directories on the server, one for a public area and other for a private area. In this article it will be considered a quite frequent case to access a private data area, the access to a personal directory for each user. 1) Create the users that should be authenticated in the PDC – primary domain controller server (Linux with Samba). Use the adduser command, useradd or userconf, you can also use some tool for users administration, but with graphic user interfase (Webmin, Linuxconf, Yast, etc.). Be sure that users have access only to Linux/Samba services (if you want it), it implies they don’t have access to the Linux shell, to do it they will have /dev/null as home directory and /bin/false as shell. 2) Convert the UNIX users to Linux/Samba/Windows users, creating the smbpasswd file. These commands work in a similar way to adduser and passwd commands. This command analyzes the smb.conf file and reports errors if it finds them. 6) Create the directories /home/netlogon and /home/public with permissions 0754(netlogon) and 0777 (public). 7) Edit the script Logon file: logon.bat. Important: Use a text editor for DOS/Windows (like Notepad or Edit) to create the file logon.bat (so that it is saved as text file in a MS compatible format), also you can do it using a text editor running on Linux and after that you must convert to the correct text format. You can e.g use vim’s “:set textmode” command to get a file with MS line endings. 8) Include SMBServer information in the lmhosts file. Edit the /etc/samba/lmhosts file (or /etc/lmhosts) and add a line with your SMBSever information. 10) Use smbclient to verify if the previously specified configuration is working correctly. if “Password:” is displayed, press “Enter” and shared resources by the server will be shown. 11) Do a client login, using some Windows 95/98/NT computer, in the domain THEDOMAIN, use some Linux/Samba user previously created (see steps 1 and 2). Start => Setup => Control Panel=> Network =>Network Client for Microsoft Networks => Properties. A very similar idea can be used for Windows NT/2000 clients (Workstation/Professional), although the sequence could not be the same. Click in the option “Start session in Windows NT/2000 domain” and write this domain: THEDOMAIN (WORKGROUP). A complete SAMBA configuration file is presented here, this file has been tested with several Linux distributions. The reader can modify it to obtain the needed results presented in this article. Each instruction that appears is properly commented. As last advice for those who want to achieve a quick configuration of SAMBA, can install the Webmin and/or SWAT, tools that allow to configure it in a friendly way. # parameters according to your requirements. # with some specified computers in a local network. ; hosts allow = 192.168.8. 127. # It should not be necessary to specify the print system type unless it is non-standard. # Put a limitation on the size of the log files (in Kb). # password server = [server authentication IP address]. # Win95.txt and WinNT.txt in the Samba documentation. # Do not enable this option unless you have enough information about this property. # Information: Win95, Win98 and WinNT sends encrypted passwords. # of the machine that is connecting . # that this option gives better performance. Try it ! # Read the man page for details. # set local “master = no” if you don’t want Samba to become a master browser on your network. # Domain Master specifies Samba to be the Domain Master Browser. # Don’t use this if you already have a Windows NT/2000 domain controller doing this job. # and gives it a slightly higher chance of winning the election. # as a PDC (primary domain controller). # WINS Support – tells to NMBD to enables his WINS Server. # it works like DNS works with TCP/IP. # but NO both at the same time. # capable client, for this to work there must be at least one WINS Server on the network. # DNS Proxy – tells Samba whether or not to try to resolve NetBIOS names via DNS nslookups. # The built-in default for versions 1.9.17 is yes, this has been changed since version 1.9.18 to no. # Here we can tell to SAMBA that name resolution will be made by using DNS or not. This is a basic how to guide for configuring a samba workgroup file server. I will cover how to build and configure a samba PDC – Primary domain controller in another tutorial for more experienced network administrators. Open the samba configuration file using a unix text editor. I like NANO since it is very easy to use. Below are the commands I used to perform this task. Now delete all the text in the configuration file. Now copy and paste the below text…after that is done hit the “control and X buttons on your keyboard to exit out of the NANO text editor. Then hit the Y button and last hit the ENTER button. Now we are back to the command prompt and our samba configuration file is edited and saved. We have to create a user acct on the Linux server itself then we will create a samba user on top of the Linux user acct. We have to start the SAMBA service. It may already be started or it may not…so let’s check and see. reboot your windows XP workstations then go to network “my network places” then go to “workgroup computers”. You will see a computer there called “My Linux File Server”. You can manually map a local drive letter to this folder or write a logon script the same as you would connecting to a Microsoft file server – shared folder. Double click on that computer and you will be prompted for a user name and password. Now you will see a folder called “shared folder” You can copy and paste data to this folder just like it were a windows file server. Did you know almost all major computer vendors like DELL, HP, IBM, GATEWAY, ACER, ASUS, SONY, Toshiba, and other pre built computer systems or laptops come with a special and hidden EISA hard drive partition that contain a system recovery utility and or diagnostic tools to restore the computer back to its factory default out of the box configuration? These hidden EISA partitions are not really hidden because you can see them. These partitions are usually in the FAT or NTFS file system, you cannot assign them a drive letter, format them or even delete them like you can with other hard drive partitions. These hidden partitions usually take up several gigabytes to more than 10 gigabytes in storage space. Here is a screen shot showing the commands I typed to delete DRIVE 2. Notice how this hard drive has a 10 gig EISA partition. This is 10 gigs of space I don’t want to waste so as you can see below I used the command prompt and the Microsoft hard drive partition tool called diskpart to delete this EISA partition and I will delete the other partition when I install the OS. Since I am going to reinstall the operating system clean without the garbage software major computer vendors cram on their computers. I will destroy all the partitions and install only the specific software I choose to use on this particular computer. Here are the written step by step instructions so you can compare them to the screen shot above and understand what each command means or does. I even highlighted the commands in yellow so they are that much easier to identify. Here are the written step by step instructions so you can compare them to the screen shot above and understand what each command means or does. I even highlighted the commands in bold so they are that much easier to identify. Now the EISA partition is gone and you can take advantage of the freed up hard drive space.